I'm officially saying winter is DONE. Come on it's like 80 degrees outside, I'm all for a mild winter but this last one was ridiculous! The bugs are already coming out and driving me crazy. Ewwww. I may be the girl that screams while swatting the air when a bee flies by me. I can't help it, they terrify me. I painted my tooties a super hot pink. 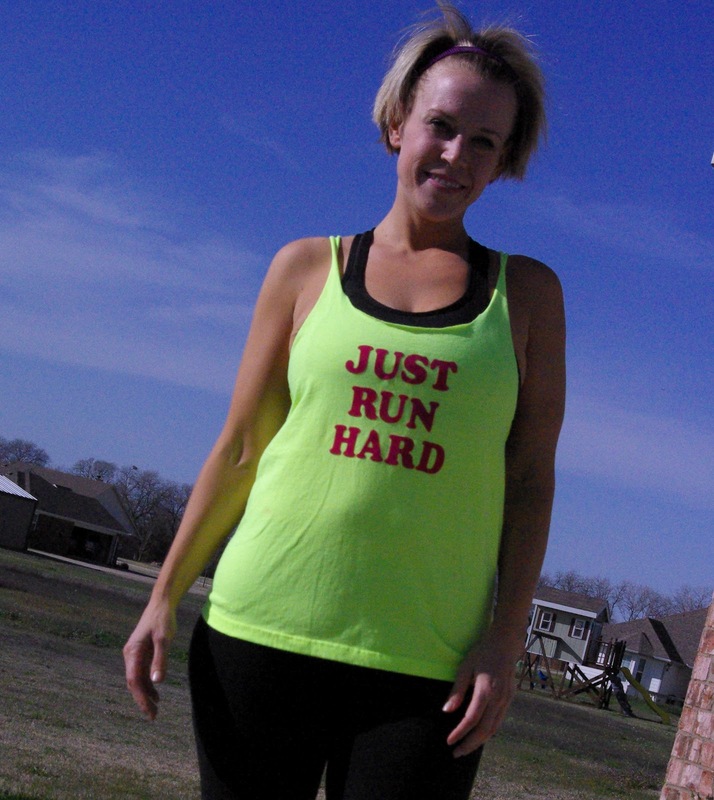 I also came across the CUTEST get sweaty tops on one of my fav blogs! I loooooove how bright it is! I shouldn't be kissing her. She climbed up on the counter and ate 5 girl scout cookies. Who can be mad at those chubby cheeks? She could of at least saved me one! Maybe she's keeping you from eating the extra calories! BUT... I have mine hidden and even hubby knows not to eat all of mine!!! I sneak one or two when Lily's out of the room. I'm bad. But hey, I shared the Oreos! Cute shoes too! Lily won't wear her glittery shoes but this girl might have to get some! Yes, I think it's definitely Spring around here. Crazy weather! Lovin' the new workout gear, Megan! I also have a bee phobia like you too! I will scream and run away whenever anything buzzes in my ear, because I think it's a bee even though it's probably some small harmless fly. :p Keep on blogging! so cute!! you look great!!!! love the shoes and the shirts! 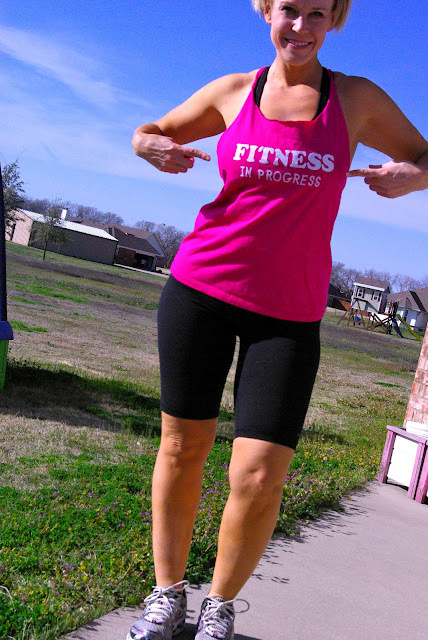 i love the fitness in progress... i think i need that! Love the new tops and shoes! Isn't Kid to Kid the best? I stopped into the one there in Rockwall the other day on my lunch break and it is SO much bigger than the one in Greenville! I sure hope you're right about winter! I'm praying that we don't have one of those crazy ice days outta the blue! The shirts ate so cute! The shoes I love! Oh we are bloggy friends right? So I can say I'm jealous of your hot mama self! How did I miss this post? Madison's shoes are SO CUTE! I wonder if they have Ava's size? You are looking SO THIN. Holy crap. You two are so adorable! I love DSW and have one right next to my gym. I could browse and dream of kicky shoes forever. I love the sparkly shoes!!! Every girl needs a pair or two. :) Um...and I think you need to send Madison to my house. We've eaten 3 boxes of cookies in the last week. Still have 3 boxes that I need her to eat for me. LOL! maybe she thought she was helping with the fitness in progress?